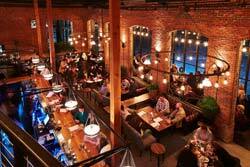 Nestled in the historic Champlain Mill on the Winooski River, Waterworks Food + Drink offers a unique dining experience featuring creative American cuisine. Foodies, rejoice: the resort's signature restaurant, Junction, will make all your culinary senses sing! 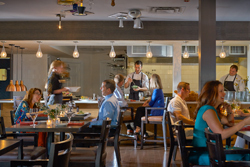 Enjoy the scents and sounds of the open kitchen, the flavors and textures of the creative tasting menus, and you'll feel like you're dining in the Chef's own home. 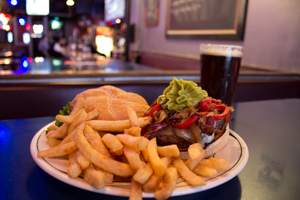 Enjoy the best of pub fare served in a casual setting. The Tavern at The Essex features an expanded bar area along with seasonal patio seating and the menu is inspired by the finest local ingredients, sourced from Burlington and nearby areas. 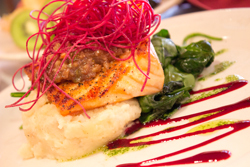 You're going to be hungry during your stay - check out some of the best restaurants Burlington has to offer. Explore a variety of Burlington restaurants in the Lake Champlain Valley of northwestern Vermont, whether you want to grab a quick bite at a Burlington cafe, looking for a great Burlington pub for a night on the town, or want to hire a local favorite for catering in Burlington, VT.
Vermont's Culinary Resort offers two award-winning restaurants, JUNCTION and The Tavern, plus fun, hands-on cooking classes at Cook Academy. Burlington's premier sports bar and restaurant. With world-class wings, cold beers, and great music, Ruben James' is a true local hotspot that's always a good time. Offering creative American cuisine with spectacular views of the Winooski River and live entertainment on weekends. One of Burlington's best-known restaurants for over two decades. A great place to meet friends for delicious food and fine wine. Leunig's Bistro & Cafe has been a Burlington institution since it opened in 1980. Come visit Burlington's own little Parisian Cafe. 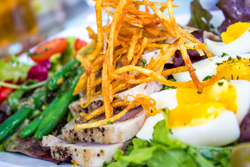 Taking American Fusion cuisine to the next level - The Daily Planet is always innovative and out of this world. With each cup a ceremony in itself, Dobra Tea has transformed a simple drink into a relaxing, refreshing, retreat. These guys know their tea. Visit their second location in Winooski, 106 E. Allen, 802-540-0865. 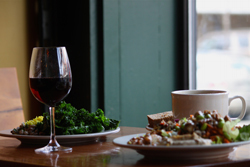 Stone Soup is everything we&apos;ve come to love about Burlington dining. Fresh, local ingredients. Delicious, creative food and a community atmosphere second to none. Open the door and welcome to Ireland. Beautifully presented traditional Irish food and drink - coupled with the most authentic Irish atmosphere this side of Dublin. Erin go Bragh! 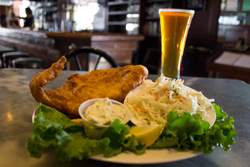 A legend in the world of craft brewing, Vermont Pub and Brewery has been serving up delicious food and drink for over 25 years - a true Burlington landmark. Open from May to October, find what you're looking for at Basin Harbor, from family-friendly fun to golf, dining and outdoor walks. The restaurants and their menus reflect time-honored favorites as well as contemporary flavors by taking advantage of the bounty of Vermont.